It's the perfect stocking stuffer for anyone on your "naughty list" this year! Two realistic lumps of coal (not real, so won't make a mess). 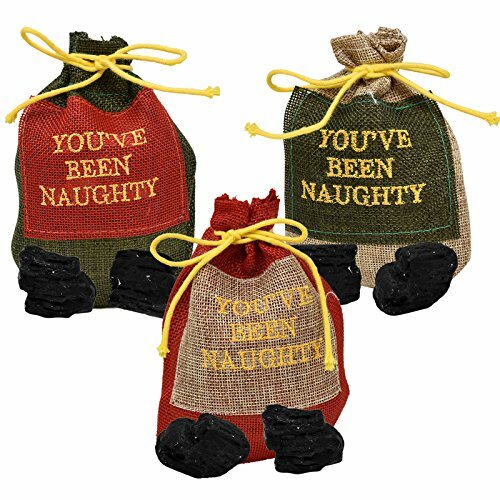 Red green and natural draw string bag with "You've Been Naughty" embroidered in gold. Bag measures 6 x 3 1/2 inches; perfect to use as a stocking stuffer. Perfect for stocking stuffers or parties. 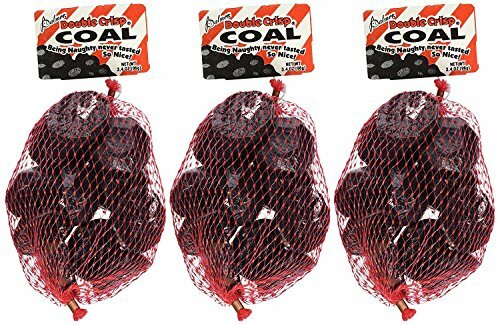 Santa's chocolate coal in a mesh bag is the perfect stocking stuffer. You get 10 pieces of double crisp chocolate wrapped in a black foil wrapper resembling coal. These are fun to hand out at holiday parties, give to you employees and add to your Stockings. Are you looking for a unique Christmas or Hanukkah gift that is sure to be a hit? 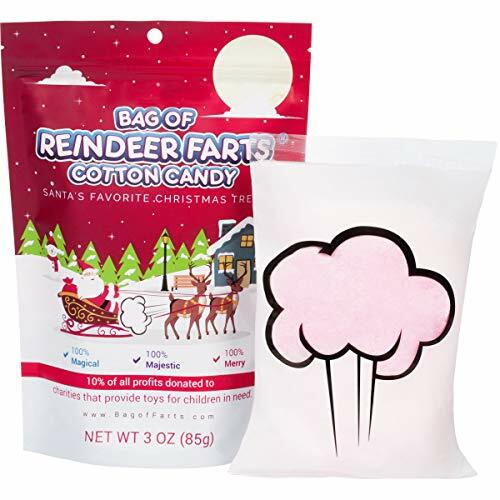 Something they've never seen before?Bag of Reindeer Farts are the perfect gift for everyone that loves something fun and interesting. Children and adults will laugh over the hilarious gift idea of receiving farts for a present. Each bag contains a single serving size sealed bag of packed peppermint cotton candy. The cotton candy is Made in the USA. As seen on Buzzfeed's gift list. You won't find a more unique gift to send to a friend or a client that they will never forget. When you need a stocking stuffer, white elephant, gift exchange item, Hanukkah or Christmas present, this is the perfect choice. The Bags are cute, the cotton candy is awesome and 10% of all profits are donated to charities that provide toys for children in need. - MAGICAL!ORDER NOW WITH OUR 100% RISK FREE MONEY BACK GUARANTEE! 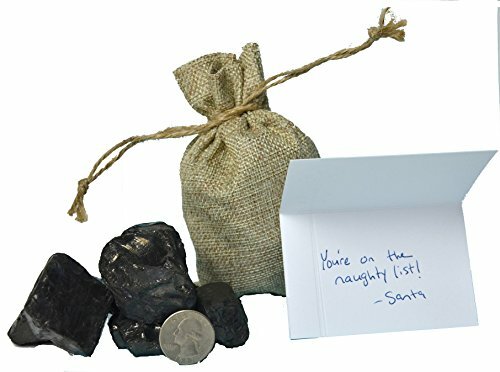 A lump of genuine American coal is the perfect gift for anyone on the naughty list. But it doesn't have to be all bad news - a link to a science experiment is included! (Note, the experiment does require some other ingredients not included with the coal). Golf ball to egg sized lump is packed in a cotton drawstring bag, with a card that includes a link to an experiment to grow snowflake like crystals on your coal. It's the perfect stocking stuffer for anyone On the Naughty LIst this year! 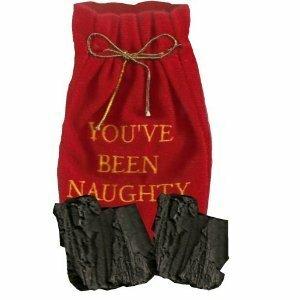 Naughty list set includes gift bag with coal and Naughty List button. Woven burlap style draw string bag with embroidered gold lettering. Message reads "You've Been Naughty". Includes realistic lumps of coal (not real, so won't make a mess). Naughty List button measures 2.25 inches. Message reads "I'm on Santa's Naughty List... *ask for details!". Perfect for that naughty someone! The perfect stocking stuffer for anyone on your "naughty list" this year. 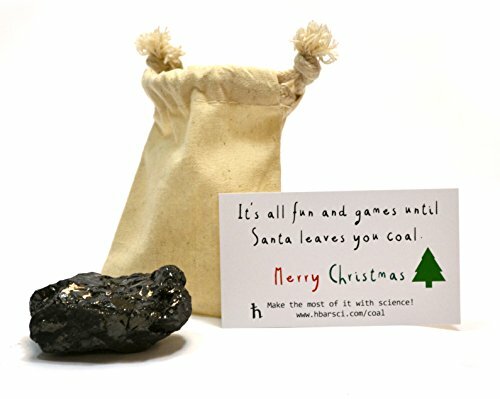 This Crenstone Lump of Coal set includes two realistic lumps of coal (fake, no mess), velvet bag and naughty list button. Red velour draw string bag with "You've Been Naughty" embroidered in gold. Bag measures 6 x 3 1/2 inches; perfect to fill with the coal and button and use as gag stocking stuffers for kids and adults alike. Coal bags are a classic tradition. Also perfect as holiday party favors for kids. 4 x 6" burlap/jute bag with 3-10 lumps of coal inside + 3 x 2.5" handwritten xmas card "You're on the naughty list. -Santa"
50lbs of Bituminous Blacksmith coal. 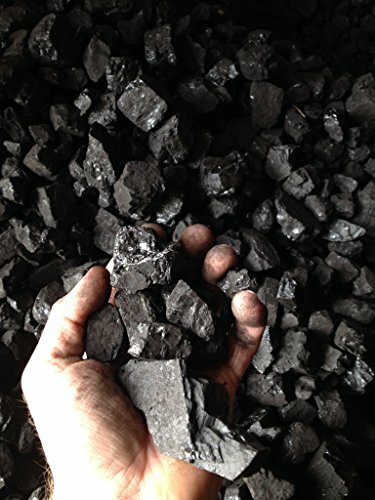 Coal is crushed into 1-3" chunks and ready to use.